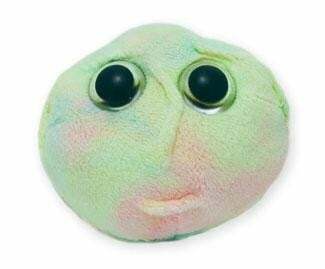 Stem Cell (Stem cell) under a microscope! The miraculous stem cell is the body's dreamer - it can grow up to be whatever it wants to be. FACTS: Most cells in the body are experts at specific functions such as generating electrical impulses in the brain, or carrying oxygen through the blood – or digesting your lunch! However, stem cells are very special cells because they have no specialty except to remain ready, willing, and able to become, someday, whatever is needed. In the first few days of a person’s life, of course, a lot of cellular construction work is required immediately to put you together. Stem cells spring into action, differentiating into the myriad cells that make you who you are. They are called pluripotent because they can differentiate into anything they want. But like Peter Pan, some of these embryonic stem cells don’t want to be anything but what they are. They refuse to grow up, and choose to remain stem cells even as the adult grows around them. Most of these adult (or somatic) stem cells do eventually differentiate into specialized cells, though by then their imaginations limit them to becoming cells like the tissue where they live, dutifully repairing any damage that has happened through the course of life. But some don’t – and scientists would love to get their hooks into them to find out what makes them tick. In fact, scientists have already figured out how to make somatic stem cells more child-like, restoring their pluripotent powers. Because if cells can really become anything they want, the tantalizing possibility for eternal youth really exists. 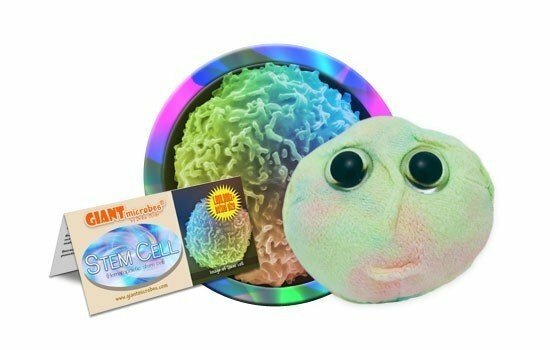 Stem cells can grow up to be whatever they want to be. They are unspecialized cells that divide frequently and can become specialized cells depending on the body’s needs. A perfect gift for an aspiring scientist or health care professional! Comes from the word stammzelle, the German word for stem cell, which had a double meaning: one being the unicellular ancestor of multicellular organisms, the second being the stem cell of a tissue. Embryonic Stem Cells: are pluripotent, meaning they can turn into any other cell. They are found in embryos, which develop to form all of the cells in the body. Fetal Stem Cells: are multipotent, meaning they can turn into certain types of cells. They are from tissues in the fetus. 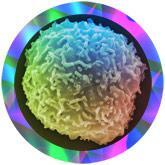 These stem cells primarily differentiate into cells that function in the same way their surrounding cells do. Adult Stem Cells: are multipotent and are similar to fetal stem cells. They are undifferentiated cells among specialized cells, and they work to repair and maintain body tissue. They do not divide until there is a need. Within this category, there are hematopoietic (blood/bone marrow), mesenchymal/stromal (bone marrow/umbilical cord), and neural (brain) stem cells. Induced Pluripotent Stem Cells: are adult stem cells that are reprogrammed to be pluripotent like embryonic stem cells. Approximately 30 microns, comparable to the diameter of the finest pieces of human hair. They are the building blocks for cells in a variety of systems. Because adult stem cells are not rapidly dividing, and they are in small quantities interspersed in various tissues, it is difficult to determine the exact quantity in a full grown human. 1981: Scientists got embryonic stem cells from mouse embryos. 1997: Scientists cloned a lamb using stem cells. 1998: Thompson derived stem cells from human embryos and grew them in a lab. Stem Cell: 2009 Sci-Fi thriller. Stemcellfineart.com: a portfolio of beautiful photos of neural stem cells.